Systemic Oragano phosphorus, which controls Aphids and Thrips. Exhibits both contact & stomach action. It has short life in plant tissues. 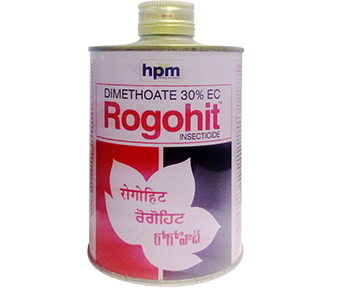 Rapid degeneration in the soil thus no problem of residues. 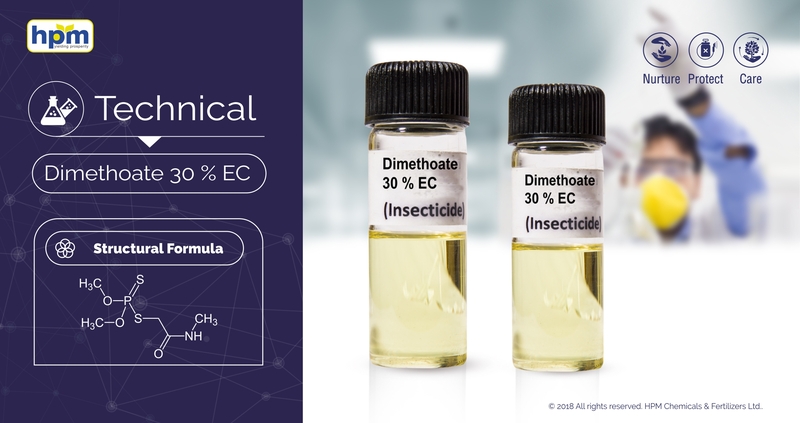 Dimethoate is an organothiophosphorus cholinesterase inhibitor that is used as a systemic and contact insecticide. Systemic insecticide and acaricide with contact and stomach action. Systemic Organophosphorus, which controls Aphids and Thrips. Acidity as H2SO4 percent by mass, max. Water content percent by mass, max. Incompatible with alkaline materials and with sulphurbased formulations. Dimethoate degrades with short half life in soil, water and plants. Moderately to very highly toxic to bird’s mallard ducks, bobwhite quail, Japanesequail. Moderately toxic to fish like rainbow trout, bluegill sunfish Moderately toxic to Daphnia. Toxic to bees.